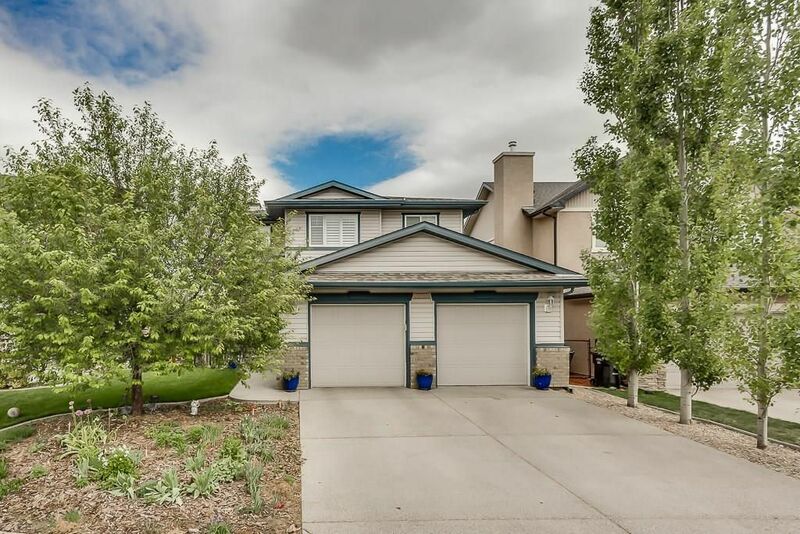 Beautifully RENOVATED 2-storey walk-out in HANSON RANCH. This property has a fantastic floor plan with no wasted space & is located on a quiet street BACKING ONTO GREEN SPACE. The main floor features stunning park views, site finished hwd flrs, living room with gas FP, dining with access to lg maintenance free deck (28'x11'), home office, 2pc bath, mud & laundry room w/Miele W/D & built-in ironing board. The NEW KITCHEN offers ceiling high cabinets, granite, TONS of built-in storage, high end appliances & walk-through pantry. Upstairs there is a lg Bonus Room, 2 spacious kids bdrms with full bath & a luxurious Master with his/her closets, 5pc En-suite with JETTED TUB & STEAM SHOWER. The professionally developed walk-out basement includes IN-FLOOR HEAT, storage & built-in cabinets, 4th bedroom w/ full bath, huge Rec-room & access to back yard. Oversized HEATED dble garage, landscaped yard, tiered storage shed, A/C, Kinetico water conditioner & softener & MUCH more!